This little piece of square perfection is ideal when you don’t want to carry much. It slips perfectly into the front pocket of your jeans, a hip bag and even a clutch. 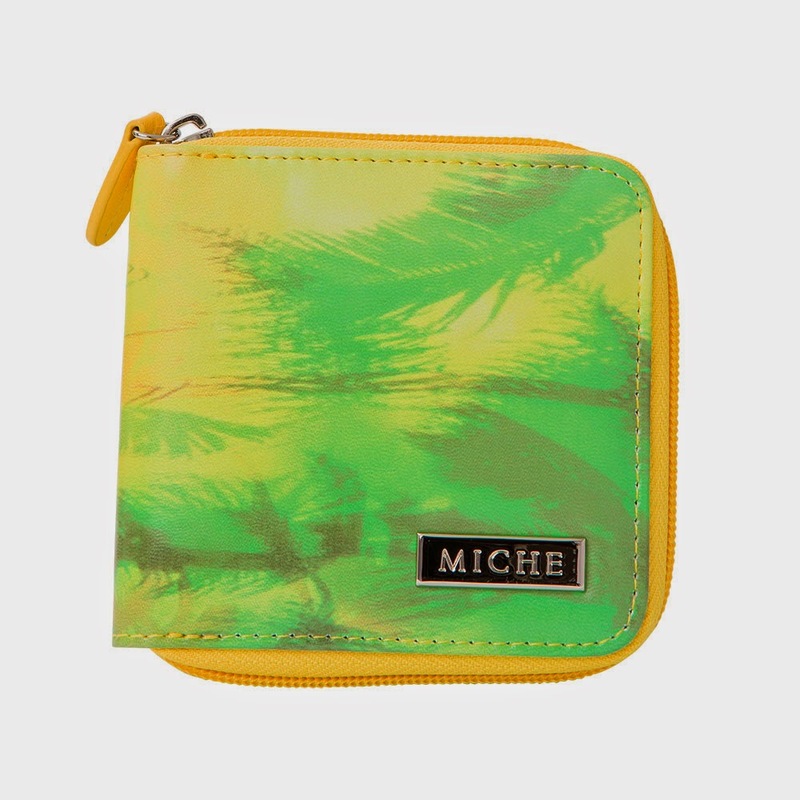 A palm tree print in shades of yellow, orange, green and blue was inspired by tropical beaches. Pineapple faux leather interior and yellow wrap-around zipper pump up the fun. 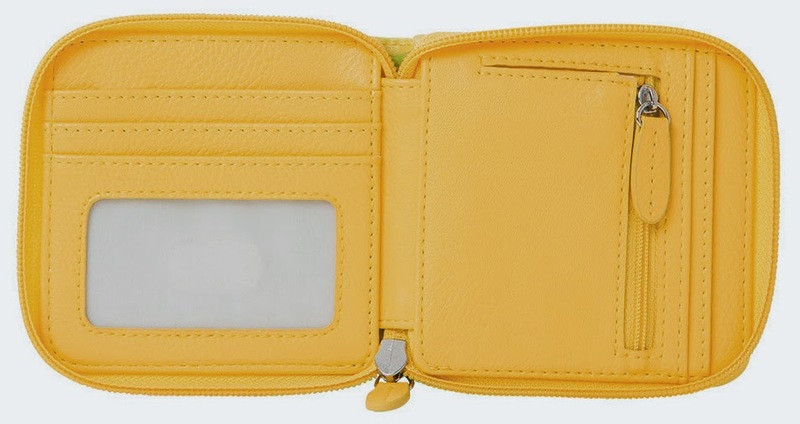 Interior zippered pocket for folded bills or change and an ID slot lined with cream fabric plus two additional card slots. Wrap-around zipper closure. Dimensions: 4” x 4”. Silver hardware.